My caution as a driver is directly related to having small children. In the past few years I found myself being more cautious in everything. This dawned on me when I saw a deer, freshly dead, a few days ago. It was intact and had been moved to the side of the Saw Mill Parkway, all one piece with it’s head nearest to me as I passed. It met it’s end colliding with a box of steel and plastic on a winding road. 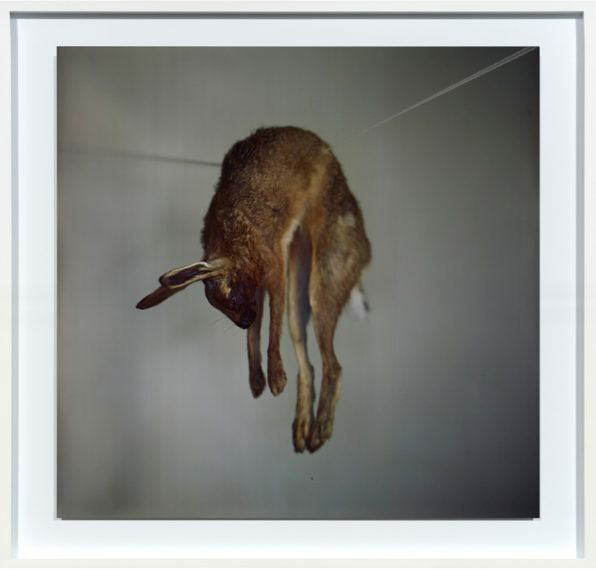 The image is crystal clear three days later like a Dutch still-life with recently hunted game or Richard Learoyd’s photographs. Did I forget to mention my Hebrew name Zvi means deer? In my writing there is no good reason for caution. No one pays me to do this and I share what I like without consequence. This is what I like best about making Atlas. In my life, I became less cautious after the election and my Learn as Protest project began. Since then my writing has fallen off and my reading has multiplied. Next week marks five years of Atlas and ten in my job as an art dealer. I am six months shy of 40 and there has never been a time in my life where I have had more ideas and more to share. Starting with the next Atlas I will plan to publish twice per month with longer pieces focused on art from new vantage points. Interviews with artists, reviews and art news will continue but there will be more experimentation. I am hoping you will continue to join me for the next five years of Atlas. – The Gray Market is a quick witted look at the business of art. I am a fan of Tim’s take on the market. You can read his newsletter by subscribing here. – Leslie Rankow’s blog is full of interviews with art dealers, curators and insiders of various stripes. I will be one of her subjects next week. – I am looking to put together a historical protest project focused on the NY area called “Protest in Place”. If you feel like you are interested or have a skill that you would like to share please let me know. – Learn as Protest Teach Ins continue on Fridays. You can see the schedule at www.taketrumptower.com. Please join in if you can.